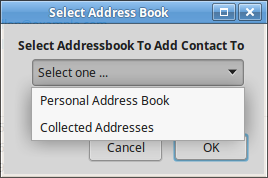 Supported Applications: Thunderbird and SeaMonkey. 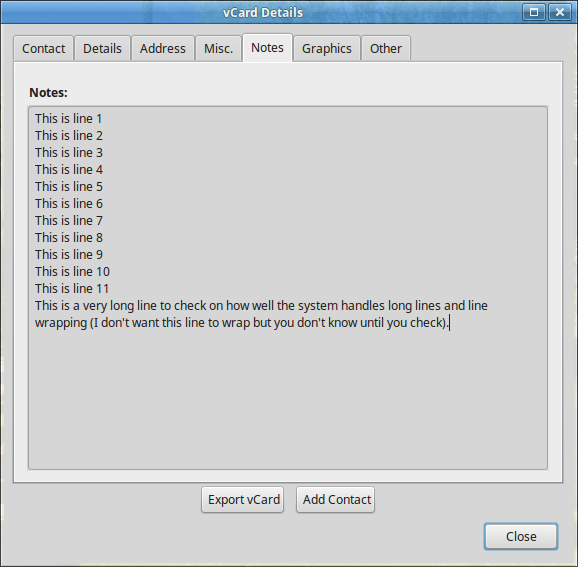 Certain binary vCard fields (eg: Sound) are not displayed. The only authentication systems available are those built in to Firefox (OAuth is not currently supported). 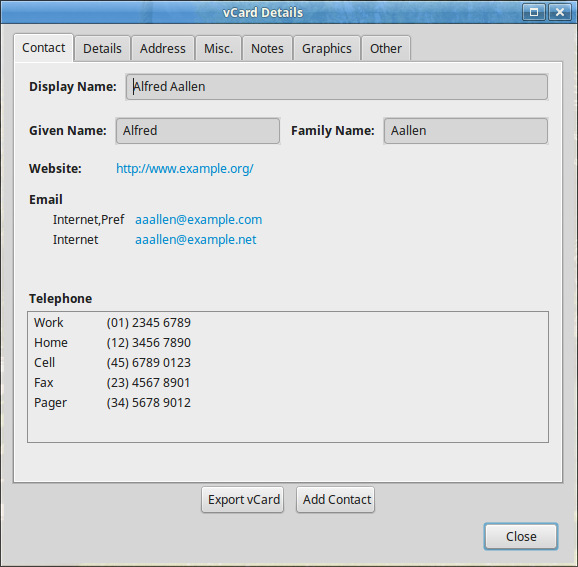 1) If there is an SSL certificate error and you add an exception then CardDAV Browser will automatically re-try to access the server and download the vCards. 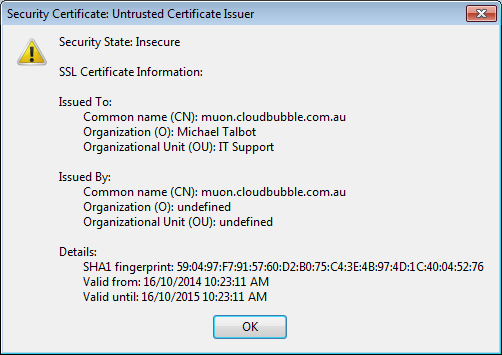 1) Minor improvement to SSL Certificate error handling. 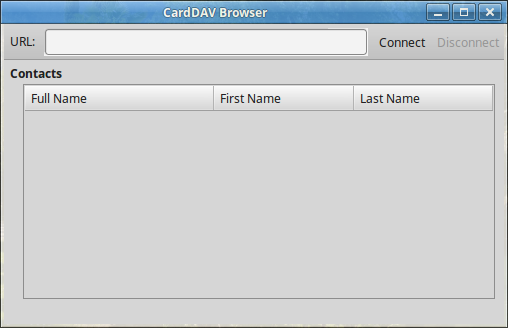 1) Improved the handling of SSL certificate errors. 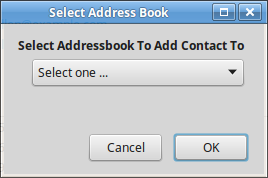 The user is now asked if they want to add an exception. 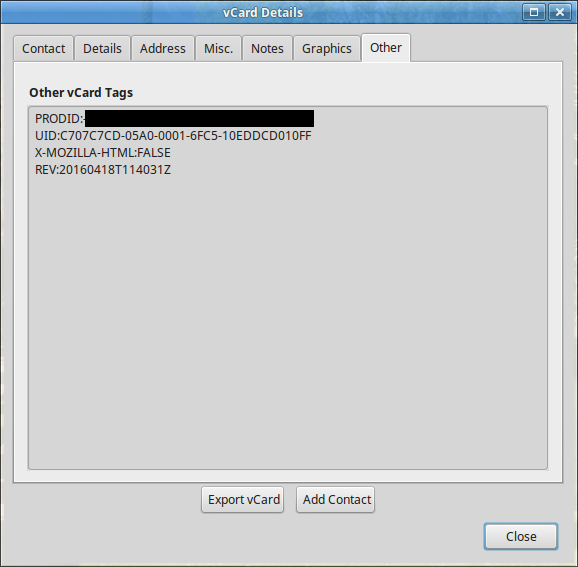 1) Added the ability manually specify the username and password or use the automatic system in the Mozilla software. 1) Corrected a standards compliance issue that was reported to me. 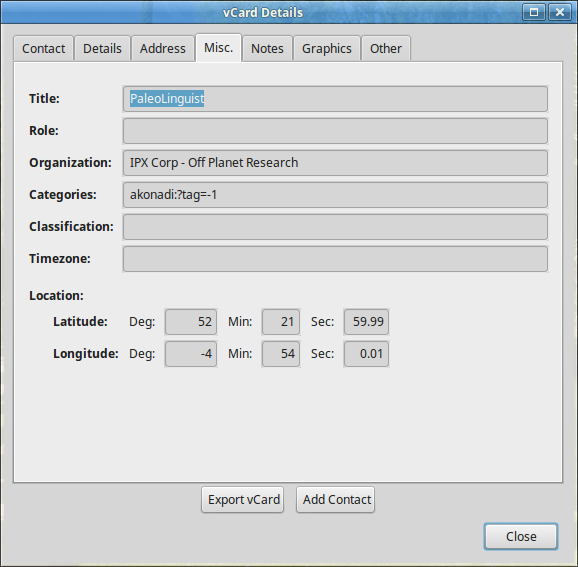 2) Improved user feedback during server connection and contact processing. 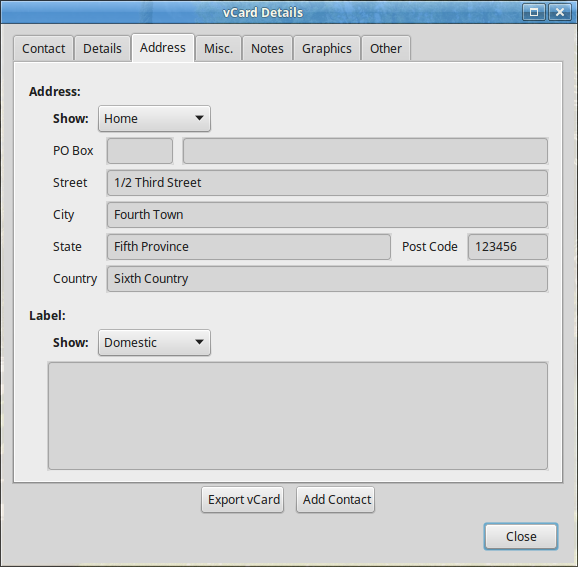 1) Further improvements to the initial download and processing speed. 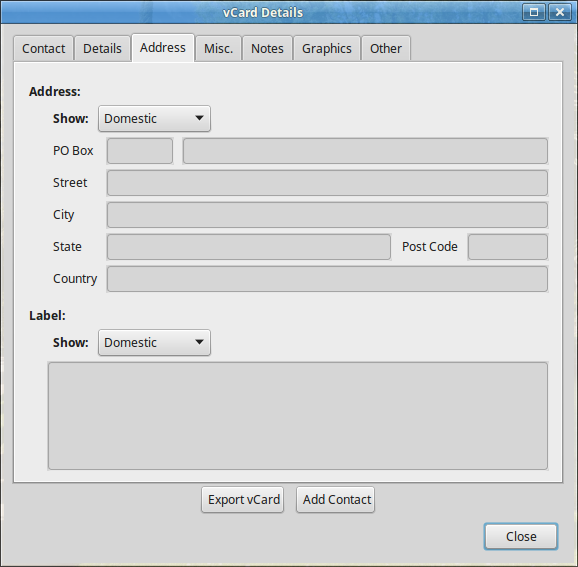 2) Redesigned the vCard display. 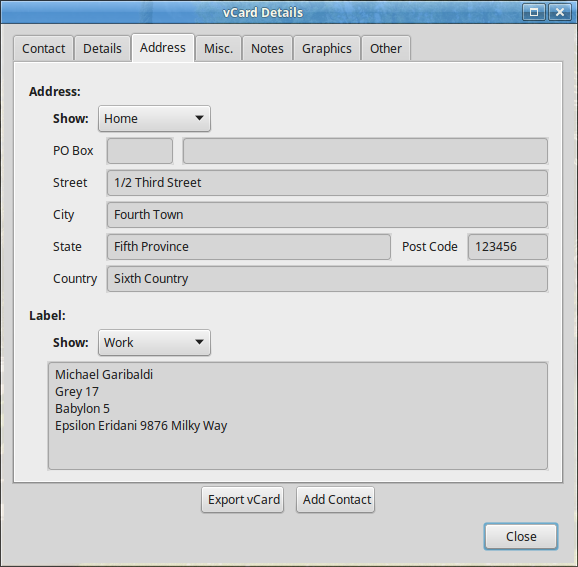 3) You can now add a vCard to your addressbook (SeaMonnkey and Thunderbird only) or export the vCard. 1) Improved initial download and processing speed. 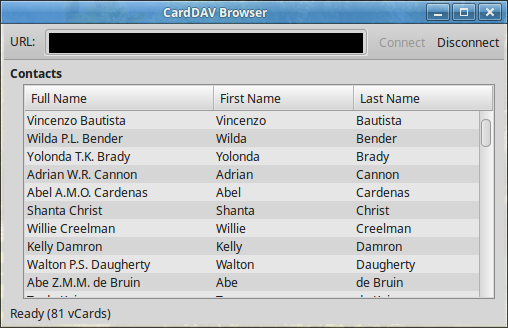 2) All text and number fields can now be copied by right-clicking on them. 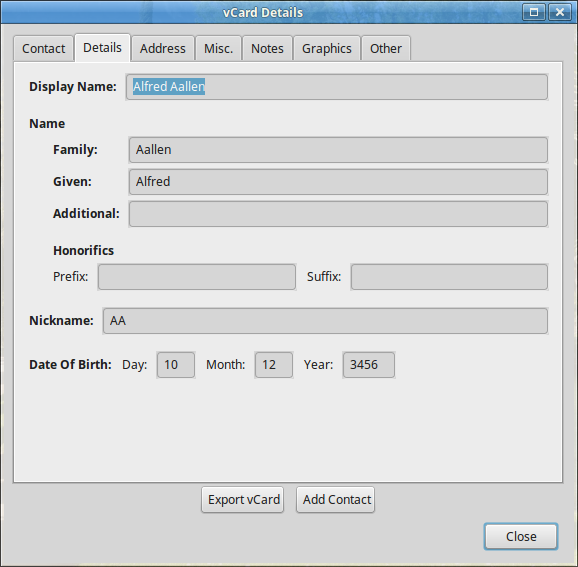 3) Redesigned the display of vCard details. 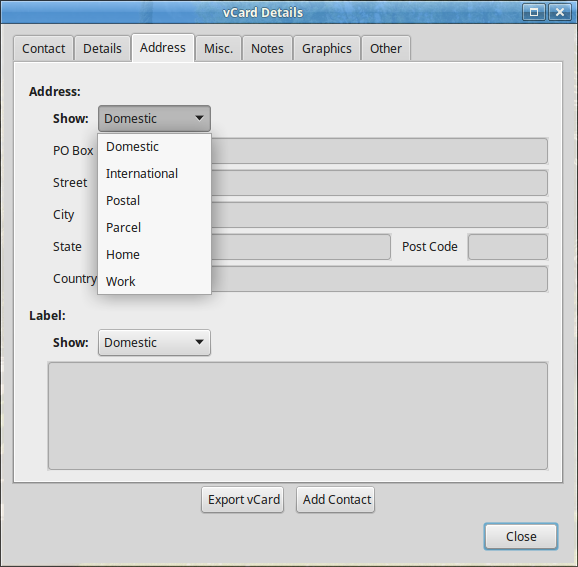 1) Added clickable links for URLs and email addresses. 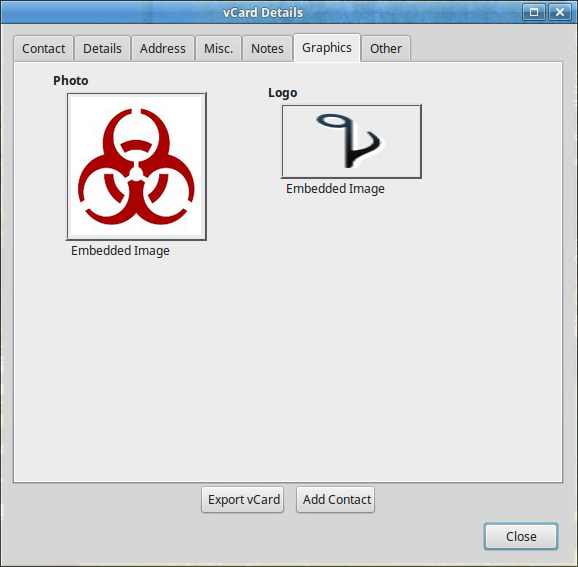 2) Added support for the Photo element. 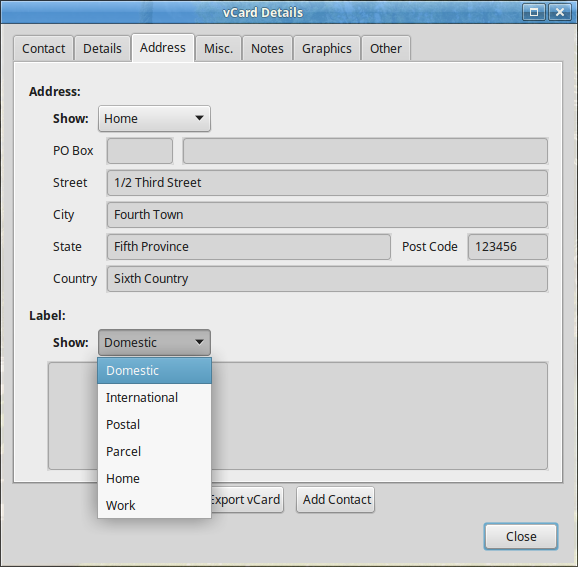 3) Added support for Thunderbird and SeaMonkey. 2) Added support for ownCloud and Baikal.